Turkey’s emergency ends as bill seeks to keep some of its powers – Royal Times of Nigeria. A state of emergency imposed in Turkey after a coup attempt two years ago comes to an end on Thursday, as the government seeks to pass new legislation to keep in place some of the measure’s powers. Emergency rule was imposed five days after the coup attempt on July 20, 2016, to enable authorities “to take swift and effective action against those responsible” for it. The government then extended it seven times, facing criticism from the opposition and Turkey’s Western allies. More than 250 people, excluding the plotters, were killed during the coup attempt. 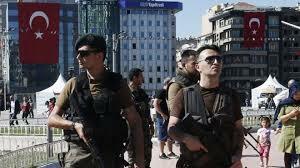 Amnesty International’s senior Turkey researcher, Andrew Gardner, said the state of emergency was used by the government to counter legitimate opposition in the country, rather than to target threats to national security.